Initially I had high hopes for Poltergeist 2, as the movie cleverly addresses many of the issues the Freelings' experienced in the original Poltergeist. A year has passed, and Steve and Diane Freeling (Craig T. Nelson and JoBeth Williams) are stuck living with Diane's mother in Phoenix, Arizona. Steve no longer has his real estate license, and is still fighting with his insurance company regarding their Cuesta Verde home that was pulled into another dimension. There's also still a strict no-televisions-allowed policy in place for the Freelings, as they are still coming to terms with the terror their family experienced. Diane's mother Jessica (Geraldine Fitzgerald) spends her time with Carol Anne (Heather O'Rourke) helping to foster the young girl's clairvoyance, which has grown stronger over time. (Interestingly, nothing is ever mentioned of the Freelings' older daughter Dana, probably due to the fact that actress Dominique Dunne was brutally murdered by an abusive ex-boyfriend after the release of Poltergeist in 1982). The family is simply trying to get by after having lost so much, physically and emotionally, but unfortunately for them the terror begins again shortly after Grandma Jessica's death. In the original film, it was learned that the subdivision of Cuesta Verde was built over an Indian burial ground. While the developers moved the grave markers, they opted to not move the bodies themselves, thus desecrating the land. Poltergeist 2 takes things a little further by showing the plot where the Freelings' home once resided to now be the site of an archaeological dig. Besides just finding bodies, the diggers, accompanied by Tangina Barrons (Zelda Rubenstein), have discovered caverns that house the remains of the congregation of Rev. Henry Kane, an evil leader of a millennial cult who is the Beast from the first film. Attracted to Carol Ann's life force or something, Kane relentlessly pursues the Freelings in order to apprehend her. It's kind of a creepy back story, but it definitely takes a bit of retconning to make it work with the first film. 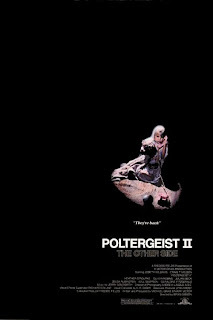 So, is Poltergeist 2 any good? Well, it has good parts. The presence of Native American mystic Taylor (Will Sampson) is a nice addition to the cast. His humorous approach to life inititally overshadows his courage and devotion to fighting the evil that has plagued the Freelings, but provides a great foil for Steve Freeling's devotion to rationality despite the madness he has witnessed. Secondly, the addition of the Rev. Henry Kane (Julian Beck, who died before the film was released) adds a very creepy and tangible dimension to the hauntings. Beck brings a real menace to the role that stands out, despite his frail physical presence, as he practically haunts every scene he's in. I think his confrontation with the Freelings outside of their new home is certainly the film's high point. Like the original film, Poltergeist 2 also has some fun special effects, although they're not nearly as effective as those from the first film. The sense of wonder that the original film initially fosters is gone here but there's nothing truly horrifying enough in the movie to make up for it. I think that's ultimately my problem with this movie; it starts off strong as a continuation of the first film and introduced a creepy protagonist in Kane, but then it sort of falls apart. I won't spoil the details, but the final conforntation in the film is highly disappointing. It quickly disintegrates into a bunch of loosey goosey "power of love" nonsense that just kills the movie. There's none of the terror or emotion at the conclusion that the first film effortlessly exuded.  Overall, I'm giving the film an E and a 1/2. It's worth a watch due to the sheer creepiness of Rev. Kane and the appearance of a giant evil tequila worm that attacks the family, but otherwise it's a very uneven film. Also, shut your eyes when Craig T. Nelson is on screen; is it just me or does he kind of sound like Harrison Ford?